Cosmopolitan campus of K.R. 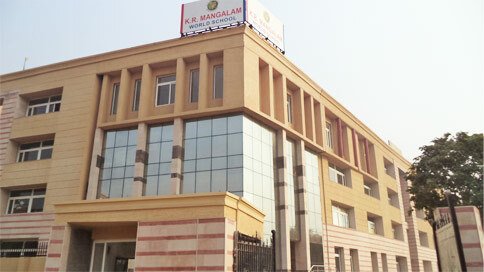 Mangalam World School Vaishali was established in 2012. The 5 acres eco friendly green campus with rain water harvesting facility is a pollution free secure place for students. The Campus comprises of four blocks with playgrounds and special spaces for tender minds to shape into global citizens with holistic personality, ethical values and technological edge make K.R. 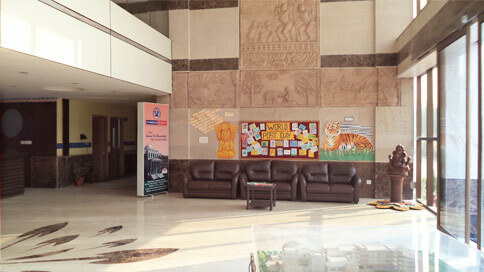 Mangalam School as the best school in Ghaziabad. 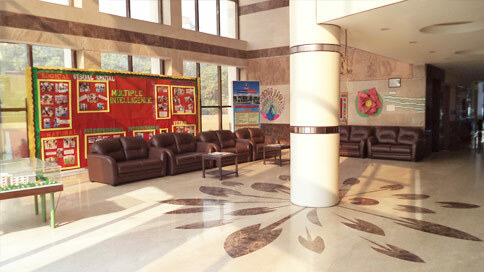 The school building is spacious with well-lit classrooms, clean and tidy atmosphere. The infrastructure caters to all essential facilities for the children. While each block complements each other, the corridors and meeting spaces are graciously designed and are spacious enough to facilitate easy movements. There is the added luxury of ample parking space and one can literally drive through the school. There is a huge contingent of security personnel coupled with computerized attendance systems, monitoring systems, movement tracking systems and secure closed circuit cameras at strategic vantage points – and one gets an idea that we take the welfare of children as an extremely serious issue. The use of appropriate technology and specialized manpower is just the tip of the Iceberg as far as the well being of students and staff is concerned.